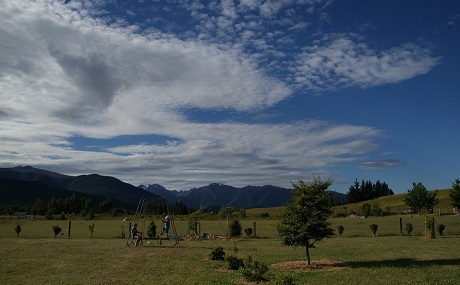 Kepler Oaks has Farmstay Accommodation in Te Anau New Zealand near Milford Sound. Learn more about Kepler Oaks. 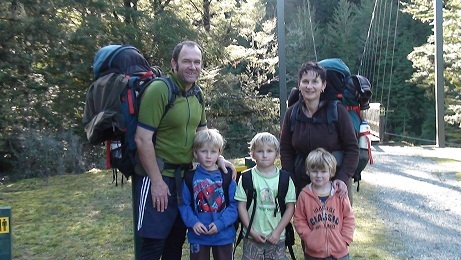 We are next to the World Heritage National park, and only 5 minutes walk from the Waiau River. 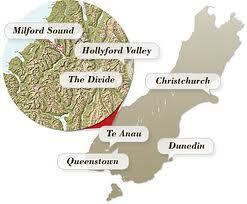 Renowned for fishing and the greatest density of trout in New Zealand . 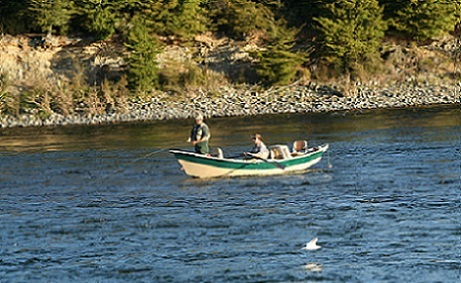 We can arrange a guide to take you out or you could get a license and hire some fishing gear from the local sport shop in Te Anau. The areas of this river were film locations for the Lord Of The Rings movies. The Chalet is a perfect fishing lodge for a keen fisherman. You can walk down to the river at dusk and watch the fish jumping out of the Waiau river. One advantage of staying at Kepler Oaks Chalet for your Te Anau fishing accommodation is that there is so much for wives, partners and children to do in Te Anau and on the Farmlet, especially if they enjoy horse riding. While you're off fly fishing, Helen can organize all sorts of trips and excursions for the family, they won’t even know you've gone fishing! Te Anau, and 15 minutes to Manapouri. If it's walking you're after, you'll be able to walk to the world famous Kepler Track only a 10 minute walk from the Chalet. We have ample parking if you wish to leave your vehicle whilst walking the track. 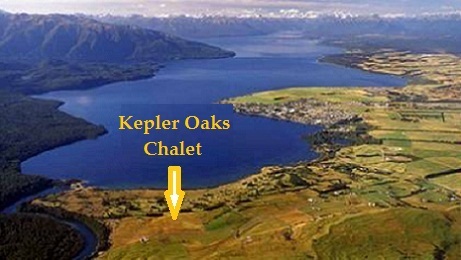 The Chalet is only a 10 minute walk to one of the most beautiful golf courses in the world that overlooks Lake Te Anau. Golf Clubs and carts can be hired. Transport to and from Te Anau may be available for a small charge.